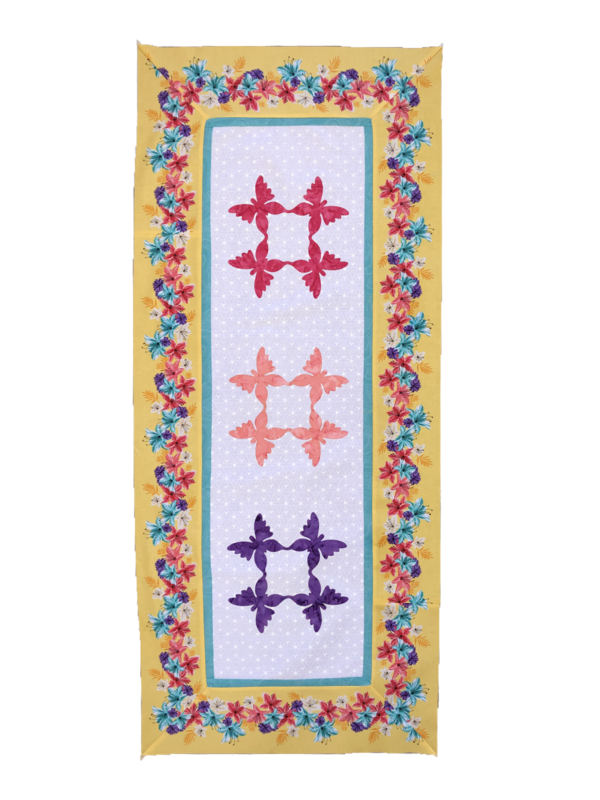 Butterfly Lei Runner Kit with Fusible appliques. 20in. x 46in. Kit includes 3 laser cut fusible batik 8in. Hawaiian Butterfly appliques, fabrics for the background, borders, binding and a pattern.